Back in 2014, Microsoft surprised everyone when it decided to pay $2.5 billion US dollars for one game. It was a shocking amount of money for sure, but with hindsight it’s easy to see now that Microsoft’s decision was well justified. After all, Minecraft remains one of the most popular games in the world to this day, and it has truly been a cash cow for Microsoft over the years. Actually, according to a recent Business Insider article (via GameSpot) Minecraft’s monthly player count (91 million) currently exceeds that of Fortnite’s (78 million) by many millions. In light of this, you might be wondering why Microsoft hasn’t attempted to make a Minecraft sequel yet, given the game’s huge popularity. It’ll surely be another big money maker, right? However, in an interview with Business Insider, Microsoft’s Minecraft boss Helen Chiang explained why Minecraft won’t be releasing Minecraft 2 anytime soon. 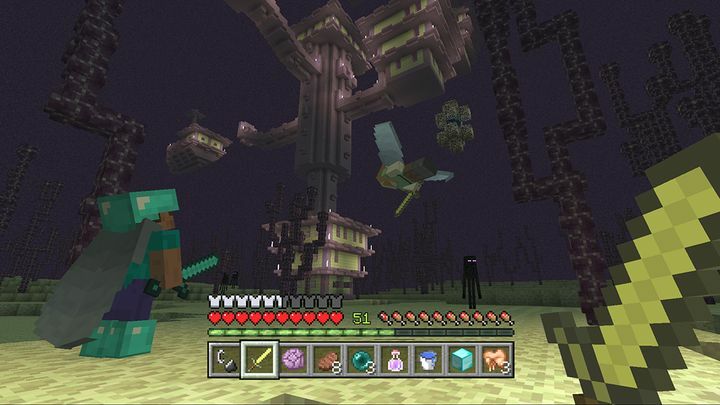 “We don’t want to ask [players] to move from Minecraft 1 to Minecraft 2. We want them to just enjoy Minecraft”, said Chiang. Also, Chiang explained that releasing a sequel would fracture the community, and that adding to the current game might be a better course of action for Microsoft. “There’s other ways that we can expand that are more meaningful and authentic to what we want to be, rather than just releasing another iteration in the way that most other franchises do”, added Chiang. It makes sense then, that as long as the current Minecraft’s game popularity remains high there won’t be a sequel on the horizon, much to the disappointment of those who believe the original game has grown stale at this point. Nonetheless, here’s hoping Microsoft finds a way to please both Minecraft purists and those hoping for change in the near future.